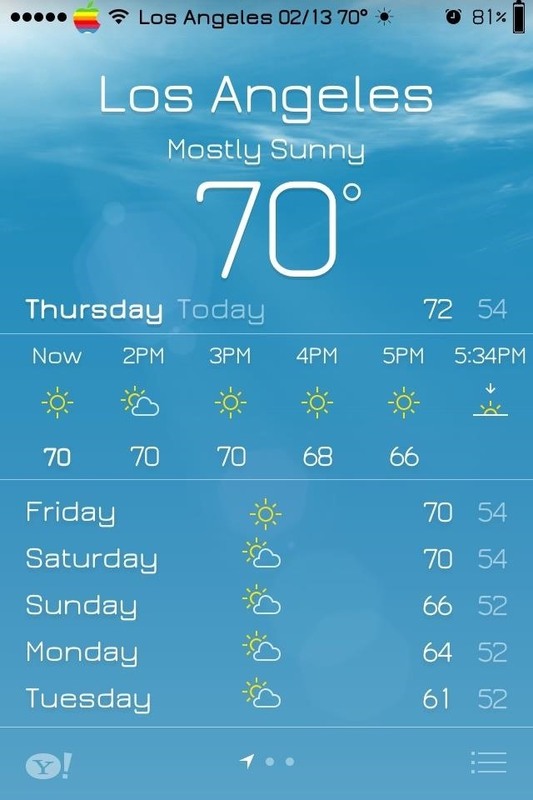 While it may not serve much of a purpose here in sunny Los Angeles, it's still a good idea to keep constant tabs on the weather forecast, because you don't want anything to rain on your parade. 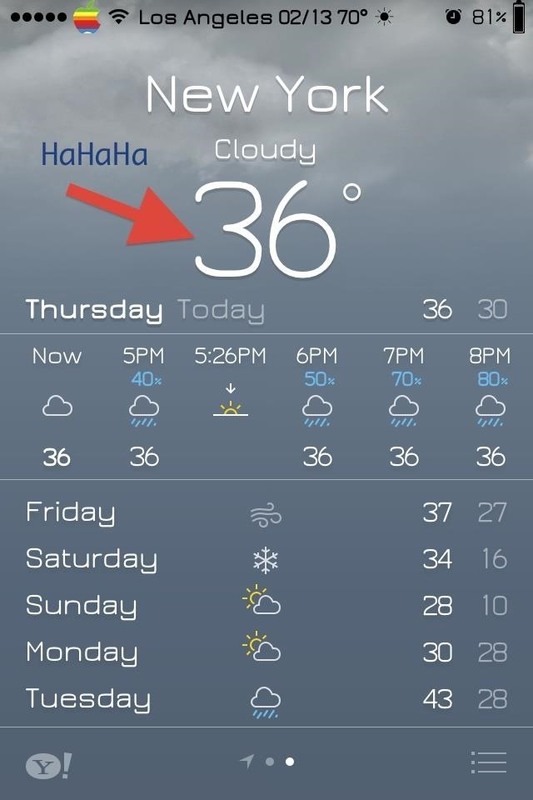 Apple has its own Weather app that you can access from the home screen, and there's even some quick stats in your Notification Center to check out. Better yet, there's Yahoo Weather or one of the other 200+ weather apps in the iOS App Store. But for any of those, you need to jump into the actual app to get the information you want. Now, instead of using the NC or opening one of your weather apps, you can add your location's weather data right to your status bar so that it's available any time you want to glance at it. 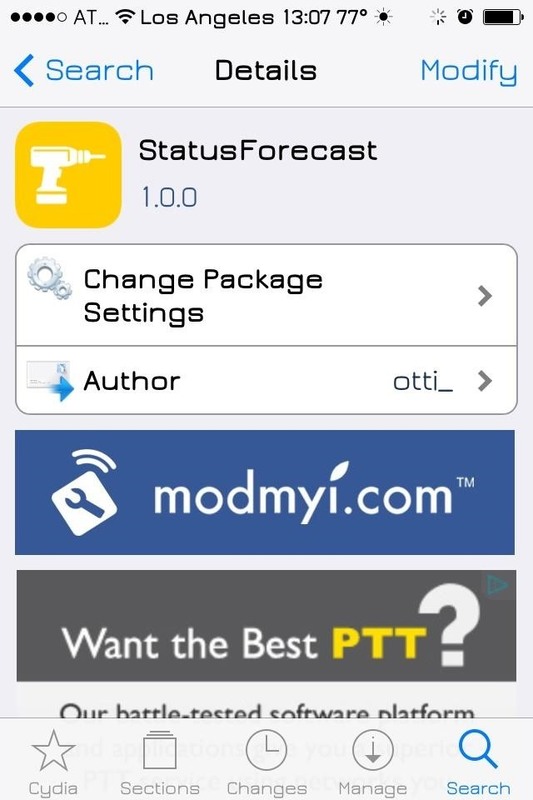 To get started, make sure you've got a jailbroken iPhone, then hop into Cydia to search for and install StatusForecast. Install the tweak like normal, then respring your device. 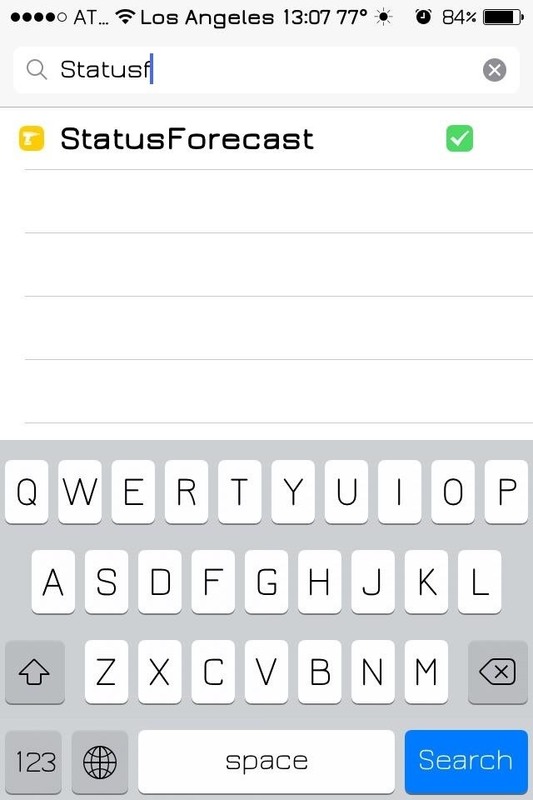 Go to your iPhone's Settings app, then scroll down to where all the Cydia tweaks are and select StatusForecast. Now input your current location using its WOEID (short for Where On Earth ID), which is used by Yahoo to identify geographical areas. Since you probably don't know your WOEID, you can look it up here. After you've entered your WOEID, you can change the displayed format to either be the date or the current time. Lastly, you can alter the format of how things appear in the status bar—all of the inputs are conditional based upon the text you enter, which may seem somewhat complicated, but it's actually pretty simple. If you read carefully, you'll be able to get everything in place where you wish. You can change the degrees from Celsius to Fahrenheit, remove the weather icon, or move the city and date/time around. Where FH is the temperature in Fahrenheit, DEG is the degree symbol, ^ is a space, and ICON is the current weather icon. When entered into "WeatherFormat1", it means that information will be displayed before the time. 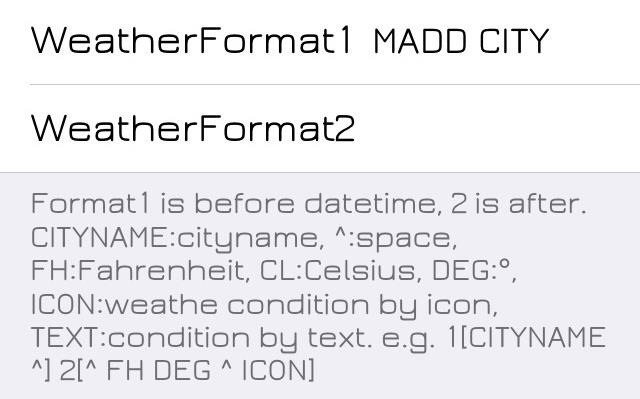 "WeatherFormat2" means that information will be displayed after the time, in this case, ^ inputting a blank space followed by LA, where any all caps term will be displayed as a city (you can get creative here). Once all the changes have been made, you'll need to respring your device in order for them to take place. Now you have the current weather conveniently placed right in your status bar for quick viewing at anytime. Keep in mind that the weather location is static and does not adjust based on location, only by WOEID. So, if you're traveling, you'll need to enter a new WOEID to get weather updates for that location. if I want to put the lockscreen? StatusForecast should appear on your lockscreen as well. Weather Mate http://www.weathermate.net/ has a feature whereby the current temperature is displayed on the app's icon in the iOS apps drawer. So, you do not have to log into the app again and again.